A Bob's Life: Football? In August? The NFL is desperately trying to give consumers a product that they can appreciate and identify with. How can they expect fans to appreciate meaningless games at regular season prices? NFL football in the stands is just not a lot of fun. Especially if someone happens to be cheering for the visiting team. There is a thuggish mentality that takes over. And the games do not matter. Who really cares about a preseason football win? Look at the 2014 season. The Washington Redskins were 3-1 in the preseason , but wound up 4-12 during the regular season. 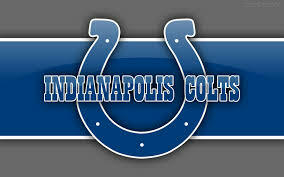 Conversely, the Indianapolis Colts were 0-4 during preseason, but finished the regular season 11-5. I saw parts of some of the games this past weekend. The stands were mostly empty. The product is just not that good. If preseason games were free, then they would be a good value. Alternatively, play the games in smaller stadiums and charge less per seat, like baseball! But since the real teams don't take the field until September, it is hard to get excited about meaningless games.